Hartzfyrre Whippets and Greyhounds had our first litter of whippet puppies in December 2017. Please see the link Sky & Conner puppies to see photos of these beautiful babies. 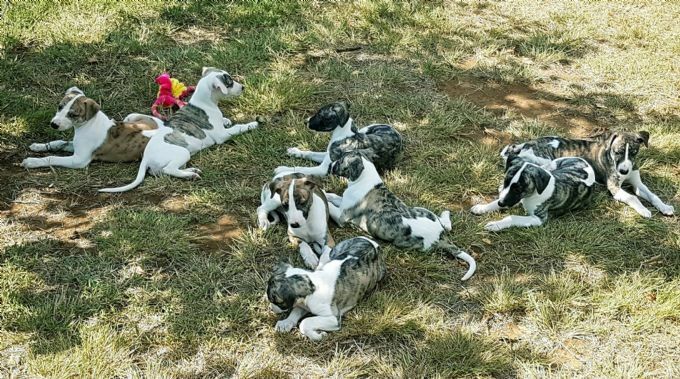 Hartzfyrre are planning our next whippet litter in late 2019, please feel free to contact us if you are looking for a whippet puppy before that time and we'll do our best to help you find your new family member through a reputable ANKC whippet breeder. Hartzfyrre Whippets and Greyhounds do not have any plans for a greyhound litter at this stage.